The mission of Monument Mountain Regional High School is to create opportunities that foster intellectual and personal growth and Challenge all to become courageous learners, engaged citizens, and individuals of integrity. Monument Mountain Regional High School is committed to expanding access to rigorous course work including AP courses, improving student performance, and supporting student success. 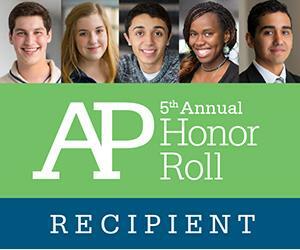 We’ve been recognized for our work as part of the College Board’s 5th Annual AP® District Honor Roll. Monument Mountain Regional High School is one of 547 school districts to earn a spot on @CollegeBoard’s 5th Annual AP District Honor Roll.